Obituary for Danny W. "Mac" McAnany | McIlvaine-Speakman Funeral Home LTD.
Danny W. “Mac” McAnany, 73, of Washington, formerly of Westland, died Saturday, April 6, 2019, in his home. He was born July 12, 1945, in Washington, a son of Edward and Jean Hotchkiss McAnany. He was a veteran having served with the US Marine Corps from 1962 until his discharge as a Sergeant in 1966. He was involved in the blockade during the Cuban Missile Crisis and did two tours in Vietnam. Mr. McAnany was a lab technician for Consolidated Coal in Library. He was a lifetime member of the Washington County Detachment #1138 of the Marine Corps League and was past Commander and lifetime member of the American Legion Post 902 in Houston and member of the Veterans of Foreign Wars Post 553 in Strabane. 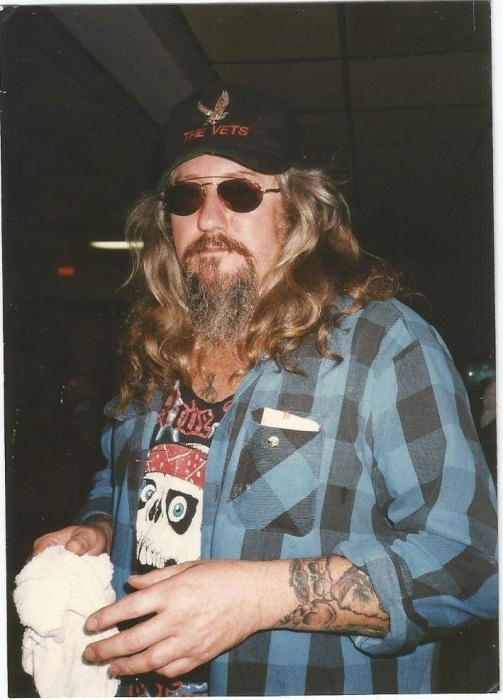 He also belonged to the Bears Club in Meadow Lands, Palanka Sportman’s Club in Houston, and was a member of the Vietnam Vets Motorcycle Club serving as club president for 20 years. On June 12, 1965, he married Margit E. Cass, who survives. Also surviving are: a grandson, Danny McAnany II (Amy Kisner) of Washington; two brothers, John McAnany (Barb) of Washington, and Louis McAnany (the late Elaine) of Phoenix, Az. ; a sister, Maxine Balazy (the late Stanley) of Washington; and many nieces, nephews, great nieces and nephews, and cousins. Deceased are: a son, Jason Joseph McAnany; and three sisters, Norma and Marian McAnany, and Romaine Semple. He will be greatly missed by his family, friends and the family dog Chance. A service will be held at 10:30 a.m., Wednesday, April 10, 2019 in the National Cemetery of the Alleghenies, Cecil Township. Full military rites will be accorded by the Marine Corps League and VFW Post 191Honor Guards.